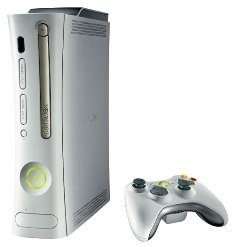 I just stumbled across a YouTube video (thanks, Techradar), which shows off the difference between the noise levels in the older Xbox 360 and the new slimmer console available now on Amazon.com. The updated console, announced back in June, features a a 250 GB removable hard drive and built-in 2.4GHz Wi-Fi N. But one of the most exciting features (for me, at least) is the fan redesign. Now, instead of 2 fans, the console just has the one and runs “whisper quiet,” according to Xbox PR. But how quiet is that really? Well, thanks to this video, you can actually hear (or not hear, as the case may be) the difference between the old and new. The sound recordings were made six inches from the front of the consoles, say the video’s creators.